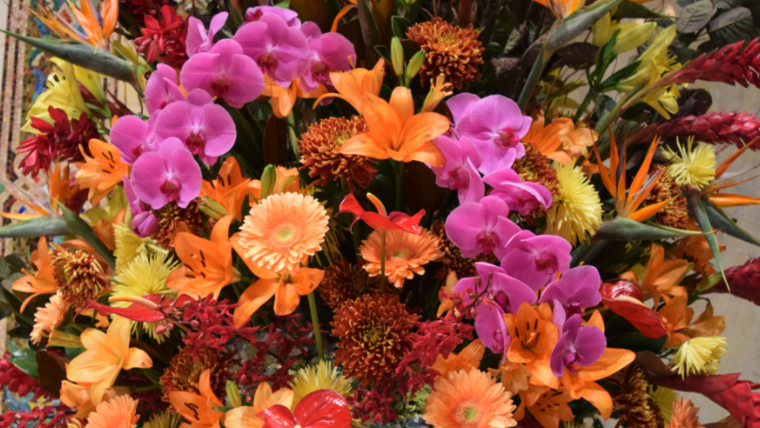 The gift of flowers to decorate the bimah is a meaningful way to remember a loved one, honor a bar or bat mitzvah, or commemorate a wedding, birthday or other notable event. Flower sponsorship enhances the beauty of our magnificent sanctuaries throughout the year. The temple arranges for the flowers each week and congregants who wish to sponsor flowers may do so with a donation of $325 to the temple. Instead of flowers, you may prefer to help sponsor the weekly Oneg Shabbat (reception) held after Sabbath worship services on Friday evenings. With an Oneg Shabbat sponsorship — also a $325 donation — the temple arranges for food and beverages, and no special arrangements need to be made by the donor. Both flower and oneg dedications will be included in the Temple Bulletin for the Sabbath you choose; several dedications usually appear each week. Because of Temple Bulletin publication schedules, you must notify us of your sponsorship intention a minimum of six weeks before the specified Sabbath so that your dedication will appear in a timely fashion. B’nei Mitzvah parents, please note: Oneg Shabbat sponsorship is part of the requirements for having a bar or bat mitzvah service at Temple Emanu-El. No special arrangements need to be made with the temple; please refer to your B’nei Mitzvah contract for details on billing. QUESTIONS? Click here or call (212) 507-9584.